Block ads and trackers, find your way to the light, and tag along with Robin the bird on his interactive adventure with today’s collection of apps and games. 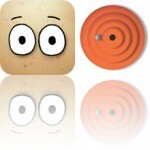 Clone Camera Pro ($1.99 → Free, 55.3 MB): Clone your subjects with this photography app. It’s ideal for Instagram users that want to impress their followers. 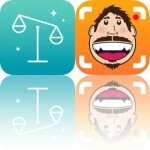 Clone Camera Pro is available for free for a limited time. It has a 4.5-star rating with a total of 1019 ratings. Sago Mini Forest Flyer ($2.99 → Free, 160.4 MB): An interactive adventure starring Robin the bird. It puts your child in control. Children get to guide Robin around a forest filled with fun interactive elements. Yellow markers will appear when Robin is nearby indicating new and exciting animations to discover. The app includes more than 30 animations, and is recommended for toddlers. Sago Mini Forest Flyer is available for free for a limited time. It has a 4.5-star rating with a total of 1597 ratings. Crystal Adblock – Block unwanted ads! ($0.99 → Free, 14.4 MB): Get rid of annoying ads and trackers with Crystal. It provides an easy way to speed up your surfing. Tired of wasting data, speed, and battery life on unwanted content? Then install and enable Crystal today. The process is really simple. Just launch the Settings app, tap on Safari, tap on Content Blockers, and then enable Crystal. There’s nothing left for you to do but enjoy the Web as it was intended. Crystal Adblock – Block unwanted ads! is available for free for a limited time. It has a 3-star rating with a total of 3470 ratings. Crooked Path ($0.99 → Free, 99.7 MB): Find your way in Crooked Path. It’s for fans of one-touch runners. Crooked Path is full of twists and turns. As your runner takes off down a path, tap to take a corner and avoid falling into the abyss. The goal is to reach the light at the end while collecting all of the white crystals. Switches, portals, and other objects will be added along the way providing even more level complexity. Crooked Path is available for free for a limited time. It has a 3-star rating with a total of 5 ratings.